You can follow R.M on goodreads. 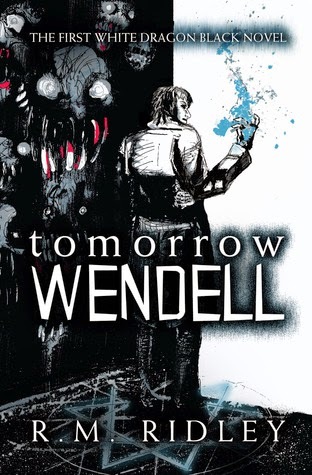 You can buy Tomorrow Wendall on Amazon, Barnes & Noble. I really enjoyed reading this twist of the typical 'paranormal' novel. 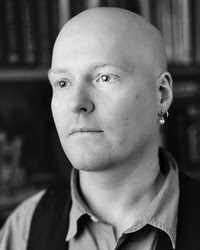 Jonathan Alvery is a practitioner (sorcerer) who spends his days working as a private detective. He's a chain smoking, bourbon drinking, magic addict. One day he has a very somber individual named Wendall Courtney enter his office.Wendall needs Jonathan's help, he keeps getting eerie messages. He's going to die. What he doesn't understand is why, or by who. Is someone threatening him? Is it a spirit haunting him? Try as he might Jonathon tries to figure out where and why Wendall continues to get these haunting messages. This book was very well written, the details and character developments were very well done. The only thing I was disappointed with was the ending, I kept swiping the pages on my ereader hoping it would produce more! I only hope that it means more can be found in the second story of the White Dragon Black series.